It’s reported that the Mean Girls cast will reunite for a comedy sketch on a network to be announced soon. On one level, it makes sense. The original movie, based on a book by Rosalind Wiseman, was a huge success. Its characters captured a special dimension of mean girls’ lives, making the absurdity of their manipulations comic fodder. I bet the new sketch will be equally clever. Tina Fey is a comic genius, and if anything she’s gotten better since the movie’s debut a decade ago. Question: Is it okay to riff on mean girls, when real mean girls are working their real mean magic on defenseless kids every day? This is not an abstraction to me. I am often talking to girls about the subtle bullying that goes on in school; the subtle innuendo of hurtful, insulting language, the clever use of semantics, the particular expressions, and unsettling laughter that make up the mean girl arsenal. These are the social cues used by mean girls, which make girls on the outside of a clique feel anxious, and in some cases, paranoid. Note: this is definitely not the funny part of the mean girls phenomenon. In real life, real mean girls make the lives of other girls miserable. It is well documented. Mean girls can drive other girls to change schools, need mental health treatment, and in the most tragic situations, commit suicide. None of this is nearly so funny as the girls depicted in the movie. Another question: Is there is a double standard for gender, when it comes to bullying? 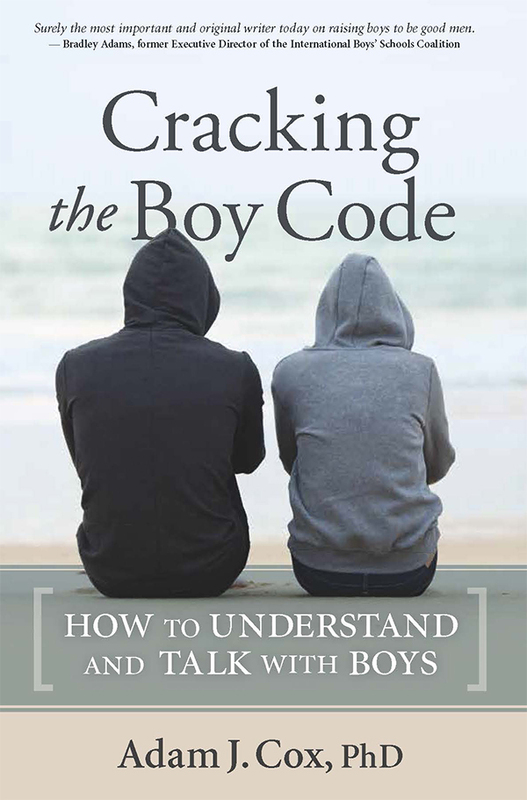 Imagine that boys who intimidate, mock and brutalize other boys became the subject of a comedy called “Bad Boys.” Following the Mean Girls formula, the movie would be nonstop laughter as bigger, stronger, antisocial boys pushed around other boys. Like those who have too few friends, who look weird to bullies, or who dare to express a different, non-conventional viewpoint. (Many bullies are especially irritated by kids who use big words – can you guess why?) I’m thinking that “Bad Boys” wouldn’t get a free pass. Instead, it would be challenged, and hopefully called out for its regressive ideas; for making the daily horror of children the subject of entertainment. We should be smart, and have the character not to let our kid’s traumas and dramas be cannibalized for entertainment that lacks a more transcendent message. I’m sure that many would argue that Mean Girls is in fact transcendent; that it is a form of social critique. I don’t doubt that there is a layer of this, but that is not what made the movie popular and financially successful. 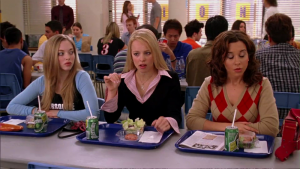 For me, a film like Mean Girls is actually less problematic than how we as a culture digest it. Like other aspects of mass culture, which we consume without much sensitivity to nuance, mean girls becomes a “thing” – a social thing to think about, reference with friends, and vaguely worry about if we have daughters. Even the term “mean girls,” the way it is so easy to say, and how it has an ambiance of silliness, somehow makes it more acceptable. By referring to “girls,” it becomes easier to write it all off as coming of age stuff – nothing to worry too much about. But what if the things that mean girls do is genuine antisocial behavior that warrants diagnosis – and police intervention? Why do we smile wryly at snide behavior, when we know it conveys an absence of empathy, and joy in belittling others. It may be that mean girls gets a pass because we believe that the intra-gender struggle for power, deployed by some girls, is a reaction to living in a world where girls and women are systematically denied their share of power and influence. Maybe mean girls reminds us that desire for power is alive and well among girls. Maybe that’s the main point; what we need to take in before worrying about the kinds of social consequences I’m raising here. However, it seems especially easy to sympathize with mean girls in the movies because they are almost always pretty, and often seductive. It’s those very qualities, in combination with their meanness that makes them interesting to watch. But let’s be honest, many an antisocial personality has been a charmer. They know how to hold our gaze, and command our subordination. Mean girls know how to make us afraid to be ourselves. They silence other kids, and ultimately make the world a smaller, less diverse place. Mean girls and mean boys are unfortunately a fact of school life. Concern has risen to such heights that there is almost no assembly topic more appealing to a majority of schools than bullying prevention. The reasons why are, sadly, obvious. Equally sad, however, is that schools so often approach this topic in a blunt, moralistic manner that alienates young people, rather than motivating them. For example, a speaker who talks over students, or who thinks that a few outdated jokes will help kids relate to him or her. Another mistake: saying the same old thing about “standing up to bullies.” Who doesn’t already know this is what he or she is supposed to do? Why not talk to kids about why a person doesn’t always make the right choice? I believe students want to understand the psychology of their own generation. Confronting a bully often requires a person to overcome fear and doubt. For many, these are super-human attributes. A person needs practice getting in touch with those kinds of feelings – a chance to rehearse what she or he will say at the critical moment. Please note: advice without practice goes in one ear and out the other. For schools, and student life leaders, it comes down to reframing the challenge at hand. If we want students to join the momentum to stop bullying, it is imperative to associate that effort with positive attributes. We should spend more time talking about empathy, citizenship, and civility, than bullying. It’s better and more effective to teach with a clear image of the ideal, than repeated warnings about the problem. It’s also important to know and tell the truth. For example, we like to say that “no one likes bullies.” But unfortunately that’s not true. Research has established that bullies can be quite popular – in no small part because they often confront adults, which impresses other kids. I worry that the incessant focus on bullying, and the urgency of adult condemnation, gives cruel behavior an unintended and undeserved degree of status. Talking to kids over and over about “responsibility” is a snooze, if not a little condescending. They already get it! Almost every student knows that bullying is wrong. The great majority know bullying when they see it. The reason people do not enact a positive behavior when they see bullying is not because they don’t understand the right choice. It’s because deep down inside they don’t feel right about acting on that choice. That is the supreme challenge of bullying intervention programs. How do we make it easier for students to feel strong, confident, and capable at the critical moment? Hint: The stories we tell kids about those situations have to be linked to community ideals about love, respect, and honor. And again, ample examples and practice. Even a great annual school assembly is not nearly so valuable as a dozen short conversations throughout the school year. At present, most anti-bullying programs get too moralistic, with an ominous tone of condemnation. Let’s save those talks for individual perpetrators – in the principal’s office. The tone for the larger student body should be more affirmative, more confident, and more instructive with respect to community standards. The intensity and prevalence of bullying fades, when it becomes cooler and more satisfying to live differently. More ideas on youth: If you find value in this newsletter I would like to invite you to visit my blog ideasonyouth.com. I began the blog so I would have an opportunity to communicate more often, and about a wider range of topics. I have included posts on practical advice, and as is my passion, conversation about the purpose and direction of youth. So much is happening in our world with respect to kids, families, and schools. I hope you might take the time to communicate with me via my blog. It is a privilege to share these ideas, and I thank you very much for your time and attention! Parent Coaching The nature of my clinical approach is somewhat unique, and I find that parents in different parts of North America want to partner in helping their children and teens. To that end, I am able to do parent coaching via telephone, email, or Skype. In some cases, it works well when families can visit for an initial meeting, and then follow-up as noted above. (401) 816-5900. On Purpose Before Twenty is published by Four Corners Pressand can be purchased worldwide. ‹ Seventeen and Depressed? Here’s Why.